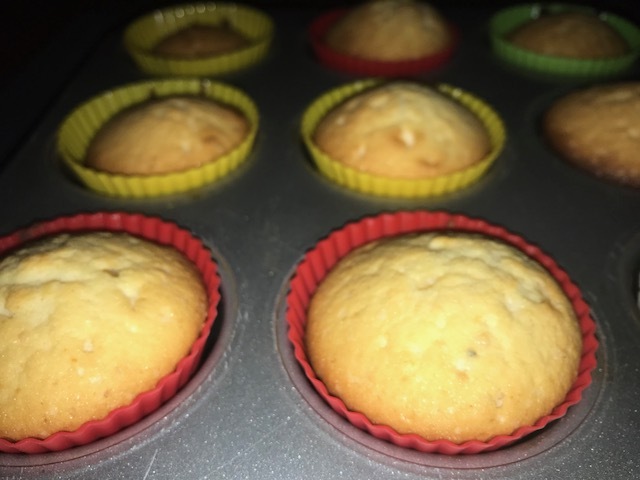 Mawa cupcakes are made by adding khoya to flour, eggs, butter and sugar with a pinch of ground green cardamom (there is also black cardamom but those are reserved for fish, meat and chicken dishes usually). Not every day one ventures into making khoya. Khoya and mawa resembles cottage cheese but not quite so. Cottage cheese is made by curdling milk using lemon juice or white vinegar. Mawa is an unavoidable ingredient for Indian sweets like Gulab Jamun, Gujiya, Halwa, Kachori, Kulfi, Barfi, Malpua, Laddoo and Peda. 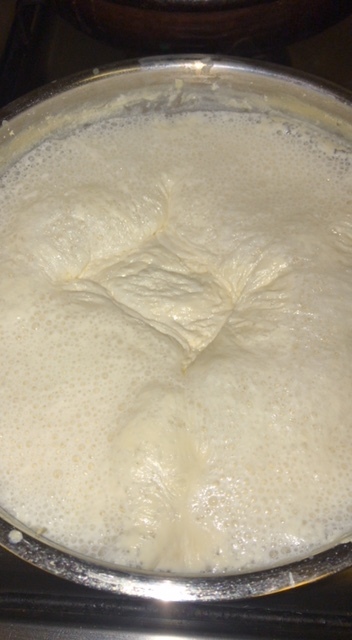 Milk is evaporated while stirring occasionally at first and later constantly once thickened to make mawa. Milk powder and ghee (clarified butter) can be used to make mawa but the evaporation method is the best. 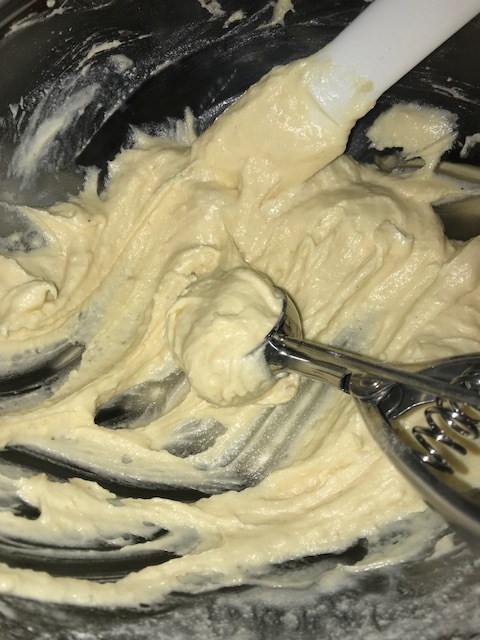 The resulting solid is mawa or khoya. 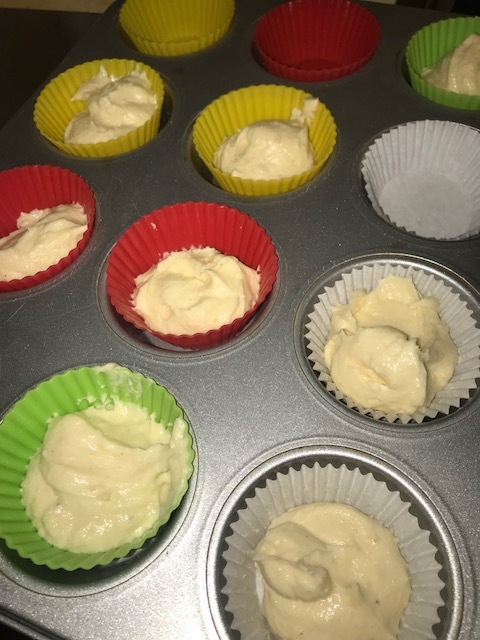 Baking process is the same as any other muffins or cup cakes. Fill the silicon or paper cup linings to 3/4th and the heat will transform them into proper cup cakes. At 180 degree Celsius in about 24 minutes, these cakes are ready. 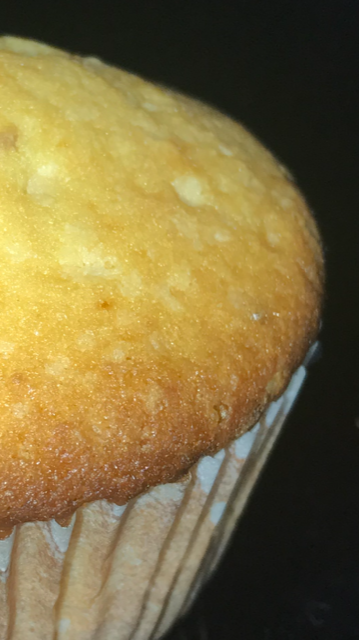 Khoya makes the cake bit dense but no one would complain given its heavenly taste. Mawa and cardamom goes together really well and the cup cake is a nice companion to Indian Chai. Silicon cupcake linings are convenient to use and they are washable. Many prefer the paper linings. Baking these cakes in free time proved to be a good experience. But sharing them at work was even a better experience.